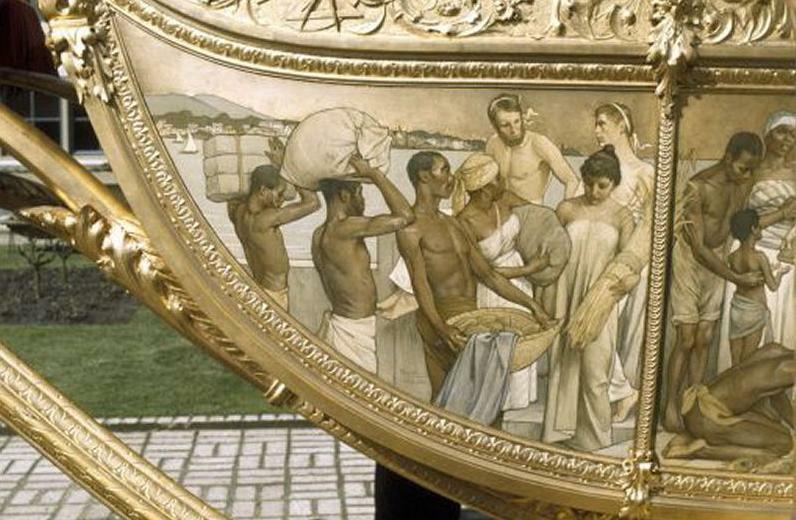 Dutch Queen Beatrix must remove an offensive slavery painting on the side of the Golden Coach, wrote two Dutch MPs in an opinion piece yesterday. They have a “great aversion” to the drawing of half naked Black men and women who offer their goods to the royal family. 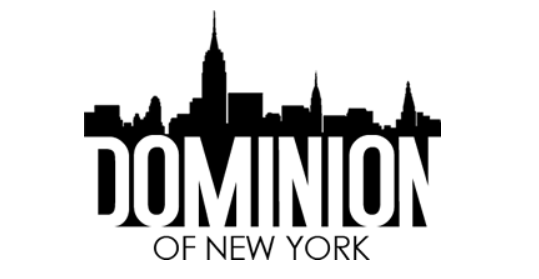 It's the image called "Tribute of the Colonies”. The coach was made in the late nineteenth century. "In the colonial era and the aftermath of slavery it seemed like a very common picture. Now it reminds us of a horrible period in Dutch history, " says Harry van Bommel of the Socialist party and Mariko Peters of left-wing green party GroenLinks. The letter was also signed by the Chairman of the National Platform Slavery Barryl Biekman and the Chairman of the Committee Dutch honour debt (Indonesia) of Jeffrey M. Pondaag. They argue that The Netherlands should apologise for slavery and colonialism and the violence that arose there after. The letter writers point out that Australia and the United States have already done so. This could possibly cause damage claims, but this way The Netherlands could come to terms with the past. The panel containing the illustration should be given a place in the National Museum, "where it belongs," write the signatories of the letter. 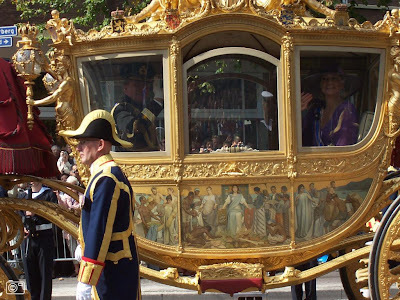 Every year on the third Tuesday in September, at the opening of parliament, the 113 year-old - grand horse-drawn carriage rides through the city of The Hague. The Coach is also used for royal weddings. Pondaag, the Javanese man, says that the people of The Netherlands should realise that the wealth didn't come naturally, but that it cost many human lives. In the video slavery images are shown. The voice over says; "But not these kind of images are on it, these images show how horrible slavery was." Dutch historian Gert Oostindie says the coach was made 35 years after the abolition of slavery, “so we are not looking at slaves”. the whole monarchy belongs in a museum. let's not cherry pick. "Pondaag, the Javanese man, says that the people of The Netherlands should realise that the wealth didn't come naturally, but that it cost many human lives." These are exactly my thoughts.. did the Dutch think they got to be a wealthy nation just by selling wooden clogs and tulips? And for that reason I think the painting should remain on the royal coach, as a reminder to everyone everytime they see it. The Royals (who also happened to marry prominent Nazi supporters) are just displaying their natural behaviour of racism. The Dutch East India Company was one of the biggest transporter of slaves to the New World. The Royals, again, are just behaving naturally! Why are we shocked!! Anonymous, I deleted your comment. Calling the Queen or a former Queen a b**ch is not allowed in The Netherlands.